Surrounded by close buddies offering toasts and congratulations on the upcoming nupitals, along with sly comments about the bottom line, Sam Horton discovers more might be at stake than a transaction. It takes two to consolidate, but when the other one turns into Bridezilla, Sam's about to experience a lesson in fortitude and empathy. Technology takes a strange turn when role playing ups the ante and makes walking in others' shoes a tough lesson to swallow. I wish this book was just a little longer, but it was great for such a short amount of time. It was almost like a twilight zone episode. It drew me in and the ending was great! I didn't really think a short story could draw me in that well, but it was very well done. 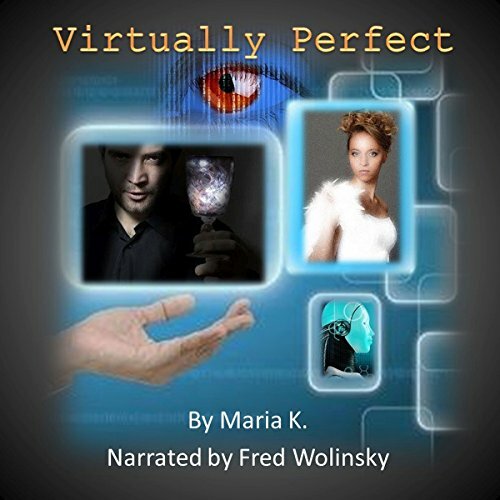 Fred Wolinsky did an outstanding job on the narration!! I loved his different voices and felt like they fit perfectly! This is one of those books that was fun to listen too then after it was over made you think, wow. Wish it had been a bit longer just to give me a little more to go on but it was still really good and you just keep saying, really? Fred Wolinsky the voice actor for this audio could not have been a better fit, it was awesome to listen to, his voices for the characters and attitude for what was going on was spot on. This was a mesmerizing short story with a great payoff at the end. The narration felt like I was listening to a radio play. A short, but satisfying listen.